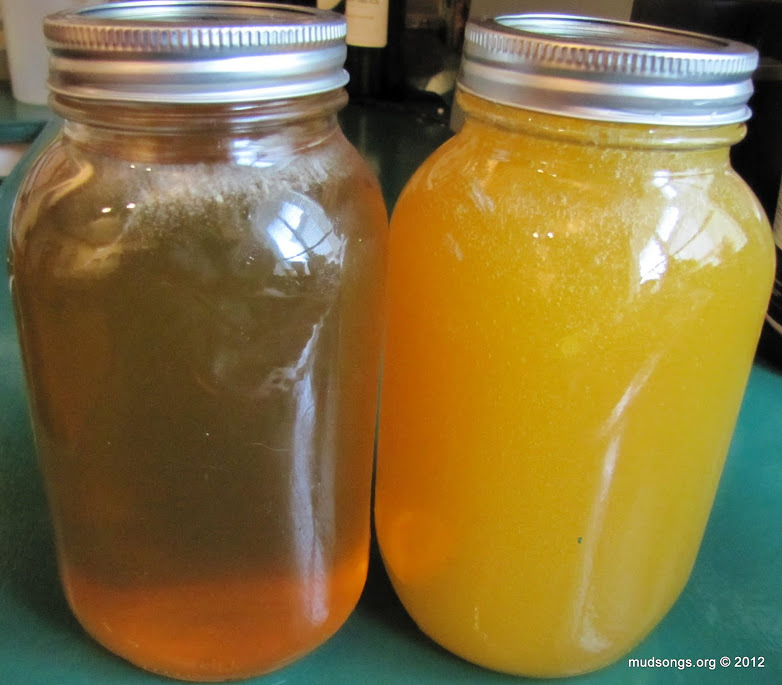 Goldenrod vs Black Huckleberry Honey? We began stealing honey from our bees, a little bit at a time, beginning in July. Almost half the honey was in comb form, all natural and beautiful. The rest was extracted liquid honey in jar form, not exactly natural or nearly as pretty, but it’ll do you. 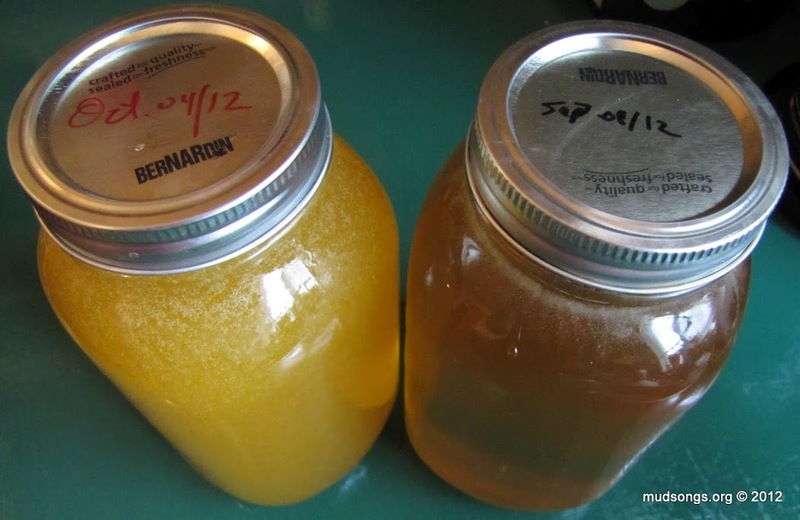 The last batch of honey was extracted today — the jar on the left in the photo. Compare it to the jar on the right that was extracted a month ago. Judging from its golden appearance and its flavour (almost sickly sweet and pungent), I think the honey extracted today is mostly Goldenrod honey. The honey we extracted a month ago is darker and the flavour is rich and earthy. Although it doesn’t qualify as a dark honey, I think much of the nectar for that honey may have been collected from Black Huckleberries that seem plentiful out in the country where the bees are now. Goldenrod Honey harvested in October and Huckleberry honey from September. I didn’t have time to observe the bees this year, so I’m just guessing. It’s fun to wonder, though. Every batch of honey this year was different. This entry was posted in Goldenrod, Honey, Month of October, Year 2012. Bookmark the permalink. Our honey was all different this year as well – our dark honey is so strong almost nobody wants to eat it! crazy!